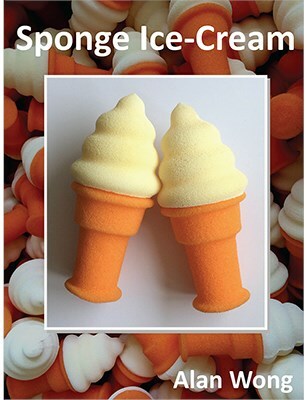 As soon as you produce these amazing sponge ice cream cones, kids will scream for ice-cream! A perfect ice-breaker: Produce an ice cream cone from someone's pocket! They look good enough to eat! Produce an ice cream cone and keep multiply them in your hands! These large size ice cream cones look great in parlor or stage. Highly realistic look with additional spray painted cream white coating on the ice cream for details. Come with two sponge ice cream cones.